Selling price: £109,760. Incl. Stock, Display and More. 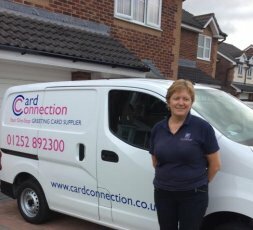 An exciting opportunity has arisen to own a Card Connection franchise in Exeter. The territory covers the Jurassic Coast towns including Barnstaple, Exeter, Dorchester, Weymouth & Exmouth with a varied profile of customers; they are currently servicing 195 outlets. This is a great opportunity for a couple to operate and develop. The area is well managed and has become available due to approaching retirement of the exiting franchisees. The selling price is £109,760. This includes Goodwill, stock and display equipment, training and area license fee. CARD CONNECTION IS WELL KNOWN TO ALL THE MAJOR BANKS’ FRANCHISE UNITS AND FUNDING IS AVAILABLE SUBJECT TO YOUR STATUS. If you would like to know more about this franchise for sale, please fill in the form below. Fife & Edinburgh including the Scottish Borders - £48,943. Incl. Stock, Display and More.